I would suggest they revise that to say “you might learn why,” because, in my experience giving this tool a thorough test drive today, it only proved useful some of the time. Here’s a walkthrough of how I tested this tool, what I found it useful for, and what I found it absolutely useless for. When I clicked on that, it opened a search bar at the top and offered me the option to “Inspect any URL” on my domain. So, I started playing with different URLs on our site, starting with the homepage. But a quick skim through their documentation resolved my confusion about that. Apparently, not all structured data types are supported by the tool just yet. Only recipes and job postings are currently listed as supported rich results here. The enhancements section did work when I tested an AMP-enabled URL, showing me that Google had discovered the linked AMP page and that it was valid. 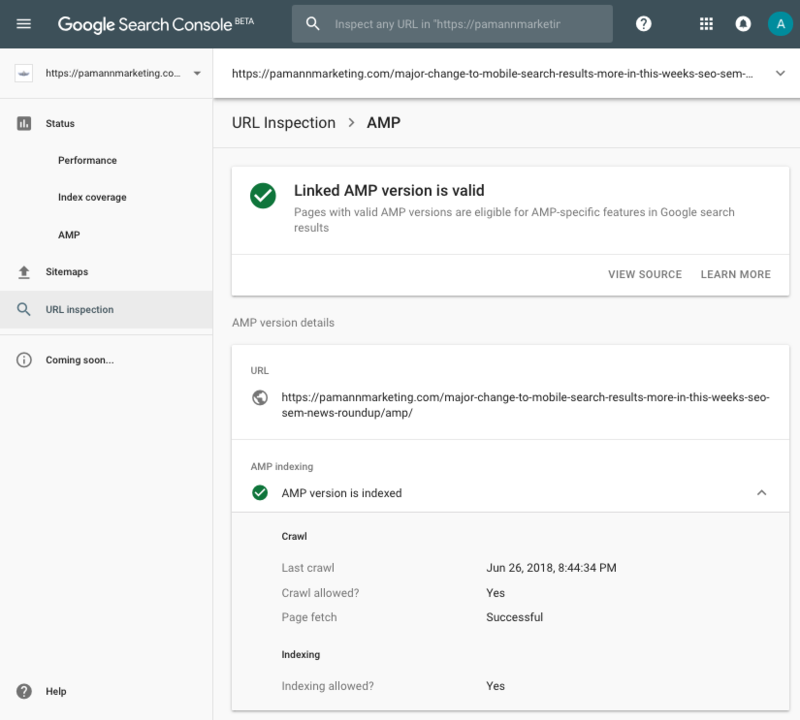 It also allowed me to drill down into the AMP result under “Enhancements” for even more details and confirmation that the AMP version was indexed. When I ran the tool for the AMP URL itself, it confirmed that the “URL is an alternate version” and offered me a quick link to inspect the canonical URL. The second thing that jumped out at me was that the “user-declared canonical” field said “none.” I know that we have implemented a rel=canonical tag on every page of the site, so that struck me as concerning. We heard that from some others too — we'll see what we can do to make that clearer :-). Stay tuned & thanks for the feedback! At that point, I started checking other randomly-thought-of URLs from our site, and started to think about how manual of a process this was. I would think of a URL I wanted to check, manually enter it into the search bar, and review the results. Who has time to sit there and do that all day, checking each URL one-by-one? That’s when it occurred to me that I should just be checking URLs with existing issues, and I turned to the Index Coverage report and went to the “Excluded” URLs. There I found a pleasant surprise! 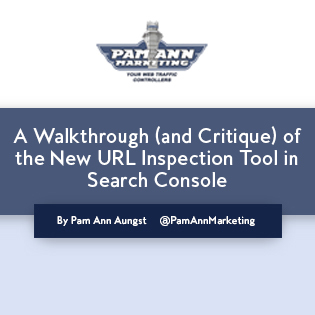 Clicking on a URL in the Index Coverage report now includes a handy little shortcut to run the URL Inspection Tool for that page. Now THAT could come in pretty handy. For a moment I was confused by that message, until I quickly realized it meant that Google selected a canonical URL from an external website (a different domain than ours.) That made sense in this case, because this article had been syndicated (with our permission) on another website. 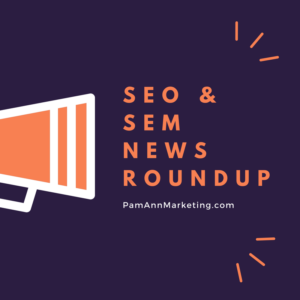 I knew that having an article syndicated on another website would lead to duplicate content and that Google would ultimately choose one of the sites to show in search results. In this case, it wasn’t ours. I’m okay with that, but just for the sake of curiosity, I did a “site:” search using our domain and found that Google did then show our copy in the SERPs, even though usually it shows the other website’s copy. I also did a quote-enclosed search of some of the content and found our copy in the “similar results” section. So the tool is kind of lying by saying that this URL is “not on Google.” It’s obviously in their index, so that should be rephrased as “not selected for display in search results” – or something of that nature. But perhaps I’m splitting hairs here. Next up, I checked another “Submitted URL not chosen as canonical” result from the Index Coverage report, and didn’t have as much luck getting useful information as to why. Even though the URL was clearly listed as “excluded” on the Index Coverage report, when I ran the URL Inspection, it provided a conflicting result, saying that the “URL is on Google” and that the Google-selected canonical was the same as the submitted URL. That is 100% in conflict with what the Index Coverage report just told me, which is that the URL was excluded from Google because the Google-selected canonical was different than the submitted URL. Upon further inspection, I realized I was repeatedly getting this conflicting information on WordPress attachment URLs. Apparently, we had been hit with this Yoast bug which turned attachment URL redirects off, when we had intended to have them on. This resulted in each image having both an image URL (e.g. /unique-image-name.jpg) and a non-image URL (e.g. /unique-image-name/). It made sense to me that Google would pick the image URL instead of the non-image URL for that type of duplicate content, and I suspect that’s what it did, but the URL inspection tool most definitely did not alert me to that as it is supposedly designed to. Well, I didn’t learn why. The tool confirmed that the “URL is not on Google,” but indicated that the page was crawled and fetched successfully and indexing was allowed. I still have no idea why this page isn’t indexed. One of those cases was when I checked an “Excluded by ‘noindex’ tag” URL. We did intentionally mark this page as “noindex” because it’s a form confirmation submission page, but what I didn’t realize was that our HTML sitemap was still linking to it. That was useful information which I discovered through the “referring page” field on the results. At first glance, the inspection result for one of these anomaly URLs seemed redundant, just simply reiterating that the fetch failed due to a crawl anomaly. But again, that handy little “referring page” field put me on to something. So the URL Inspection Tool didn’t really give me any information directly about what caused this crawl anomaly, but it did give me the referring page, which in turn, allowed me to at least create a hypothesis as to what was causing the crawl anomaly. I appreciate that Google is attempting to give webmasters more information about why certain URLs are not indexed, but overall, this tool fell short on that promise more often than not. That being said, the tool is brand new and released only in the beta version of Search Console, so we can’t expect it to be perfect right away. The ability to confirm proper canonicalization, when a different URL is specified in the rel=canonical tag. I felt a sense of comfort being able to see with my own eyes that Google accurately understood and accepted our rel=canonical intentions, in the cases where it did. In my opinion, this is the most valuable function of the tool. Similarly, in cases where Google didn’t understand or accept our rel=canonical directives, seeing which canonical URL it chose instead was incredibly useful. “Referring page” data proved useful more than once. The ability to use the tool from a quick link in the Index Coverage report proved extremely handy for investigating “Excluded” URLs. The very confusing fact that the “user-declared canonical” field says “none” unless the submitted URL has a rel=canonical tag pointing to a different URL, or Google has selected a different canonical URL on their own. It’s also confusing to be told that the “submitted URL has no enhancements,” when in reality, it does have structured data, but Google hasn’t added support for that type of markup to the tool yet. A simple re-wording of that response to not be quite so definitive (and inaccurate) is warranted in my opinion. Complete failure to identify a reason for lack of indexation in some cases. 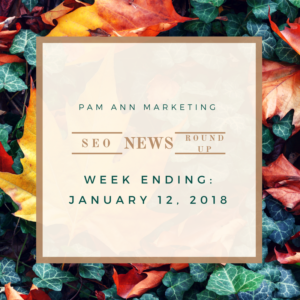 When I was checking pages classified as”Crawled – Not Currently Indexed,” the tool simply confirmed that the page was crawled and fetched successfully, giving no explanation whatsoever for why the page wasn’t indexed. Again, I appreciate any attempt by Google to give us SEOs more information, so kudos to them for that. I just hope that they continue to expand the usefulness and accuracy of this tool over time. We offer coaching and training programs to help enhance your SEO strategy. Contact us to learn more! Google made a major change to mobile search results this week, which effectively redefines what it means to rank on page one. We learned more about Google’s algorithm update last month and what exactly it was targeting. Google My Business now lets users include even more information to attract customers. John Mueller from Google published a new Q&A video about how to deal with sitemaps for large sites. Google Search Console added new filters to help site owners isolate specific data in their reports. Search Console has also been sending email notifications about issues with accelerated mobile pages (AMPs). Lastly, in paid search news, Google AdWords has a new tool for estimating the reach of YouTube ads. More details about each of these top stories are included in this week’s SEO & SEM news roundup. Google has introduced infinite scrolling to mobile search results pages. That means users will no longer have to click from page one, to page two, to page three, and so on. Results will continue to load on the same page. Where there used to be page numbers at the bottom of SERPs there is now a “more results” button. Tapping on the button will trigger more search results to load without having to visit a new page. At first, Google said this was just a test, but only a few days later it was confirmed to be a permanent change. Now it’s difficult to determine the difference between ranking on page one versus page two because, well, there are essentially no pages anymore. Will this be beneficial to pages that used to rank on page 2, 3, or 4? It’s too early to tell but we’ll be keeping a close eye on it. 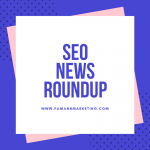 Google rolled out a “broad core” algorithm update last month, which is a type of update that only happens a few times a year. The company was not specific about what changes were implemented, which led many to speculate the algorithm update targeted low-quality pages. This week we learned that was not the case. Google’s John Mueller has confirmed the March 7th algorithm update did not target low-quality pages. It actually has more to do with content relevance. Most of Google’s algorithm updates are focused on relevance, Mueller said. So if your site’s rankings were affected by last month’s update, then it’s not an indication that there’s a problem with the quality of your content. Mueller’s advice is not to focus on improving content quality, but to figure out how to make it more relevant to those who are searching for it. Google My Business now lets users add menus of service offerings to their pages. This feature is now available to all service-oriented businesses. Menus are very simply organized with just a name, description, and price for each item. Individual items can be grouped into different sections. This feature is accessible under the “Info” tab in the Google My Business dashboard. In Google’s latest Q&A video, John Mueller explains how site owners can submit a sitemap with more than 50,000 URLs. Sitemaps are limited to 50,000 URLs per file, so what should large site do to get around this limitation? Mueller explains that multiple sitemap files can be created for a single website. Those sitemaps can then be combined into one sitemap index file, which is kind of like a sitemap file for sitemaps. Another option is to create multiple sitemaps and submit them individually, whether or not they’re contained in a sitemap index file. 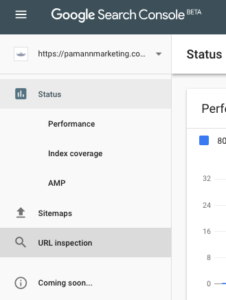 Google Search Console will now let site owners filter performance reports by ‘Search Appearance.’ Search Appearance includes the various ways a search snippet is displayed. With these filters, you can isolate the performance of specific content types. So, for example, the report can display just the performance of AMP articles, or compare AMP articles versus non-rich AMP results, and so on. The email notification then goes on to identify specific issues and recommended fixes, which will be unique to each user. There’s nothing to worry about when it comes to search rankings. As you can see, Google states in the notification that the issues will not affect how pages show up in search results. With that said, it’s important to keep in mind that user experience can be an indirect ranking factor. Google always stresses the importance of keeping visitors happy, so fixing known issues is always a good idea. Google AdWords has introduced a new tool that will help advertisers estimate the reach and frequency of YouTube ads. The new tool, called Reach Planner, will provide reach estimates across all devices, for all audiences and video formats. Reach Planner also offers a feature called ‘product mixes,’ which will provide advertisers with insight into how different video formats work together. The tool will suggest the right mix of YouTube ad products based on an advertiser’s marketing objective, ad preferences, and budget. Google has removed pagination from mobile search results. Last month’s broad core algorithm update was focused on content relevance, not quality. Google My Business pages can now include service menus. Google’s John Mueller recommends that large sites create multiple sitemap files. 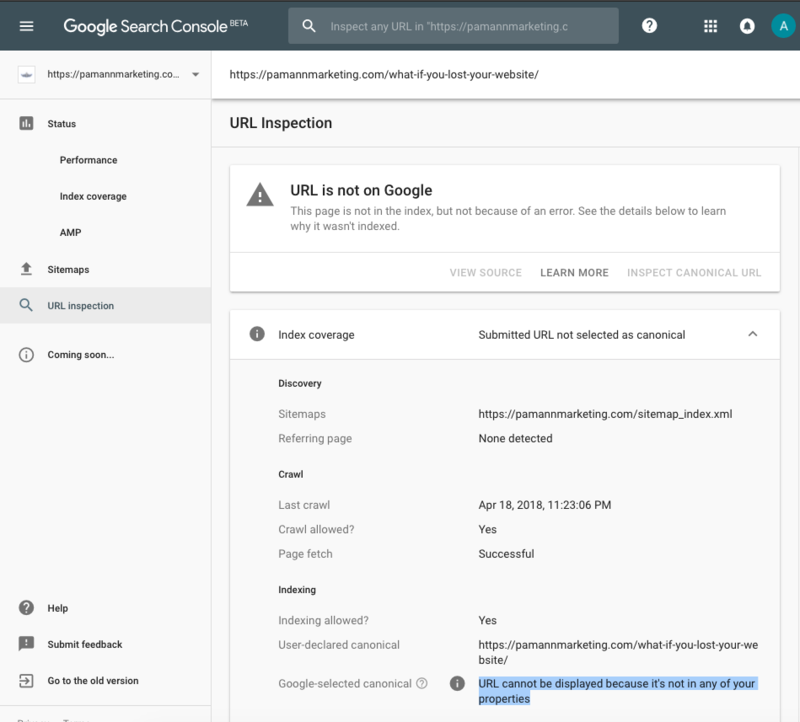 Google Search Console performance reports can now be filtered by search appearance. Google is sending notifications about issues related to social media integration on AMP pages. Google AdWords’ new Reach Planner can estimate the reach and frequency of YouTube ads. Welcome to April — and we all know what happens on the first of April. That’s right… April Fools’ Day. Google marked the occasion with a clever prank that duped much of the SEO community. We’ll get into more on that later, and also cover some serious news such as Google shutting down its Goo.gl URL shortener. In other developments this week, Google rolled out an update to search results that should really appeal to movie lovers. Google clarified some misunderstandings about how certain types of URLs affect SEO, and whether or not structured data is a ranking signal. Lastly, a study was published this week revealing that a feature built into Google Chrome is driving a significant amount of traffic to websites. 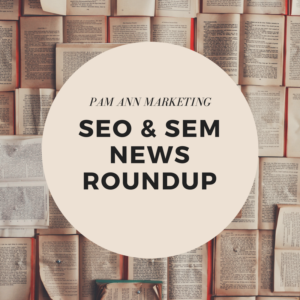 More details about each of these top stories will be covered in this week’s SEO news roundup. Google had a little fun on April Fools’ Day with a prank disguised as a new Search Console feature. 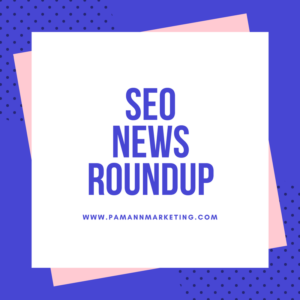 The company announced on Twitter that a new “Recrawl” button had been added to Search Console. A button that triggered Google to recrawl a site on demand? What an amazing new feature! However, if you were to actually click the button, you’d quickly find out it was too good to be true. For normal crawling and indexing, just use a sitemap file. To submit individual URLs, use Fetch as Google. But if you just want to click "↻ recrawl," we're never gonna let you down. As you can see, Google even left a clue in its tweet saying “we’re never gonna let you down.” Those are lyrics from Rick Astley’s song Never Gonna Give You Up, which as gained notoriety as part of an internet prank known as “Rick rolling.” That’s exactly what Google did. If you clicked the “Recrawl” button you’d end up watching the YouTube video of Astley’s smash hit. In other words, Google managed to Rick Roll everyone. The best part is a lot of SEOs were duped by the Recrawl button. Some publications even reported on it as being an actual feature, not realizing it was a joke. Moral of the story — if it seems to good to be true, and it was announced on April 1st, chances are it’s a joke. Google announced this week that it is discontinuing its popular URL shortening service — Goo.gl. Those who currently use the Goog.gl URL shortener can continue to do so for at least another year, as it will permanently shut down on March 19, 2019. The good news is Goo.gl links will continue to function. If you’ve used Goo.gl to share shortened links then you will be able to view your analytics data and download your short link information in csv format for up to one year, until March 30, 2019. Google has enhanced search results for movies with new features such as reviews and shortcuts to buy tickets. Entering search commands like “showtimes” or “movies” will return a list of movies playing near you, where they’re playing, and, of course, the showtimes themselves. You can then tap on the desired showtime to buy a ticket. Alternatively, you can narrow it down by location with a keyword like “Parsippany showtimes.” The new search results for movies also feature reviews from IMDB and Rotten Tomatoes, so users can make more informed decisions about what they’re going to see. Currently, this feature is available on the Google app for Android in the US and India. It will soon be available on the Google app for iOS. In the latest installment of Google’s SEO Snippets Q&A videos, John Mueller answers a question from a concerned site owner wondering if removing .html from URLs would help their site’s rankings. Mueller confirms that Google doesn’t care whether URLs end in .html, .php, .asp, or have no file extensions at all. In fact, removing file extensions from URLs may even harm the site. Mueller went on to say that removing file extensions from URLs is the same as restructuring a site. That means all old URLs will need to be redirected to the new ones. In addition, like any site restructuring, it will take time for it to be recrawled by Google. If you find yourself in a situation where you absolutely have to remove file extensions from URLs, Mueller recommends doing this during a time when you’re less dependent on search traffic. For example, a seasonal business may want to consider doing a major site restructuring during their off season. Google’s John Mueller cleared up some confusion about structured data and whether or not it can affect rankings. Structured data is a type of code that is used to create enhanced search listings, such as stars for reviews and breadcrumb navigation displays in the search results pages. Some people in the industry believe that structured data may also provide a rankings advantage over other sites. However, Mueller clarified that there is no rankings boost associated with structured data. In other words, there is no automatic ranking boost for using structured data, but Google still reads it to learn more about a page’s content. Businesses with multiple locations can benefit from using structured data. For example, a business can create web pages for each location and use structured data to communicate the locations to Google. As another example, businesses that sell products online can use structured data to communicate the manufacturer part number (MPN), colors, sizes, manufacturer, reviews and descriptions. These are just a couple of examples — We are firm believers that every site can benefit from structured data in one way or another. What’s the ultimate goal of SEO? It’s not just the thrill of seeing your site rank #1 for high-value keywords. At the end of the day, it’s about generating more traffic to your site’s pages. It turns out Google has a new traffic driver on its hands — personalized article suggestions built into the Chrome mobile app. The success of Chrome’s article suggestions can likely be attributed to the fact that users continue to transition away from desktop computers to mobile devices. There are a few other factors at play here as well, such as Chrome being the number one browser in the world. In addition, article suggestions show up by default every time a new tab is opened in the Chrome app. Anyone who uses the Chrome app literally cannot avoid seeing article suggestions. Although Chrome’s article suggestions have been around for a few years now, it’s still too early to determine how site owners can optimize content to be shown as an article suggestion. Early studies indicate that publishing AMP (accelerated mobile pages) versions of content may help. Chartbeat says Chrome’s article suggestions primarily surface AMP pages, with 72% of article suggestions leading to AMPs. Google’s April Fools’ joke truly did fool a bunch of SEOs. There is no actual recrawl button in Search Console. Google is shutting down the goo.gl URL shortener in March 2019. Google search results now contain more information about movies currently playing in theaters. File extensions in URLs do not affect SEO, and removing them could cause problems. There’s no ranking boost for using structured data, but it does help Google better understand what’s on your pages. Article suggestions in Google Chrome are now the 4th greatest driver of referral traffic. New information came pouring out this week about Google’s mobile-first indexing, which is confirmed to have been rolled out to a significant number of sites. We’ll fill you in on all the must-know details and explain how the new way of indexing search results may affect your site. Google’s beloved Keyword Planner tool has received an update, which is a good thing. What’s not such a good thing is a policy change that may affect your ability to use Keyword Planner in the future. 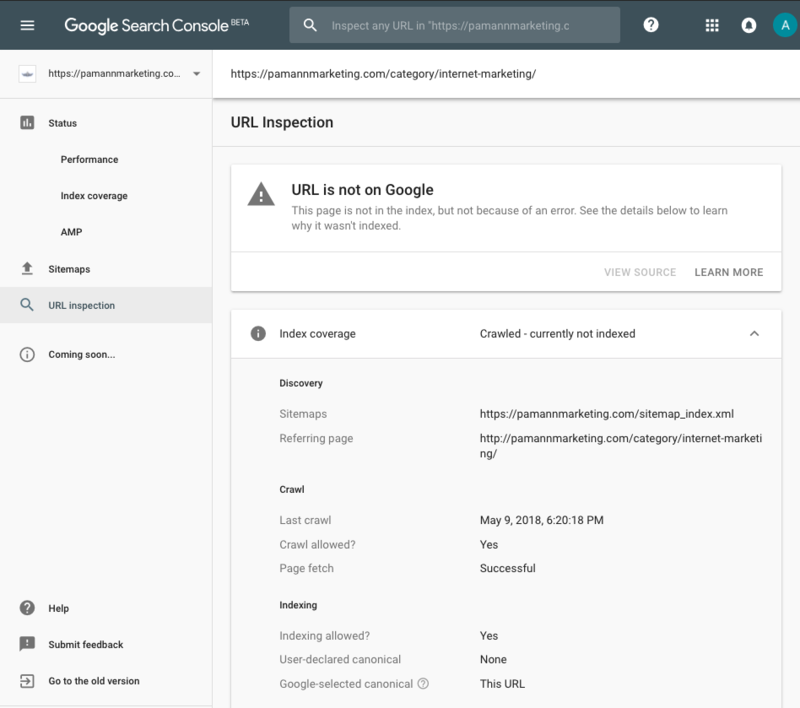 Notable updates have also been rolled out to Google Search Console. Lastly, a new Q&A video from Google’s John Mueller clears up a few things about 404 errors. Google made an official announcement on its blog letting webmasters know that a significant number of sites have been migrated to mobile-first indexing. This is a new method of indexing search results which involves crawling and indexing only the mobile version of a web page. Traditionally Google has prioritized crawling and indexing desktop versions of web pages. This change is being made in response to the shift in search behavior over recent years. More searches are being conducted on mobile devices than desktop or laptop computers. That means Google is making every effort to ensure it’s serving content that is optimized for the majority of users’ screens. If a website is not mobile-friendly then it will still be indexed via traditional methods. Sites that are not optimized for mobile will still show up in desktop search results, and may even show up in mobile search results if Google determines it’s the most relevant result for a particular query. Google says this change should not affect search rankings, it’s only going to change the way content is gathered and indexed in search. In fact, Google has even said mobile-first indexing began months ago and no one has noticed yet. However, now you’ll know for sure if your site has been migrated to mobile-first indexing because Google is sending notifications via Search Console. Migration is ongoing, so if you haven’t received a notification yet you still may in the near future. Google’s Keyword Planner, perhaps the most popular free keyword research tool on the web, has received an update. The biggest changes are primarily design-related, now matching the look and feel of the Google AdWords redesign that was rolled out months ago. Other changes to Keyword Planner will provide users with faster access to more data in one place. For example, data has been condensed in the redesigned ‘forecasts’ section, so users can now see keyword and device breakdowns without having to click through to different tabs. In addition, the forecasts section will now include an estimate of how keywords in the plan may affect performance. Users will still have access to the same amount of data in Keyword Planner, and it will still operate the same way. There is no data being removed, and there’s nothing really new to learn in terms of how the tool works. Data is just being presently differently, and some sections may include more data than they did before. Google has a new AdWords policy which requires users to have spent at least some money on ads in the past 15 months in order to maintain an active account. Those who don’t spend money on ads will have their accounts deactivated. If you have no intention to run AdWords ads you may be wondering why this policy change matters to you. Well, Keyword Planner is technically part of Google AdWords. That means if your AdWords account is deactivated then you will not be able to access Keyword Planner. The good news is you can reactivate your account at any time, but failure to spend money within the following 3 months will result in your account being deactivated again. However, you can repeat this process as many times as you like. It may get annoying after a while but at least you’ll still be able to use Keyword Planner for free. Annotation cards: Hover over bullet points in the error report to learn more about the issue detected on that particular date. Overall improvements to the date picker and comparison view. Google announced the news on Twitter, where it also published a short video demonstrating the new annotation cards. Google’s John Mueller released a new Q&A video this week answering a webmaster’s question regarding 404 errors (also known as “page not found errors). It’s a fairly standard SEO best practice to correct all 404 errors by redirecting missing pages to the next most relevant page. However, if you do not have the resources to deal with all 404 errors then Mueller says there are two conditions in which you do not need to worry about them. According to Mueller, these types of errors are only a problem if the URLs returning 404 errors are being linked to from other pages of the site. They’re also a problem if they’re receiving traffic from other sites. If the URLs returning 404 errors are not being linked to internally, and not receiving traffic, then it’s “perfectly fine” to leave them be. Mueller also recommends relying on Google Search Console’s assessment of 404 errors. Search Console will sort crawl errors in order of priority, so if it’s determined that all top crawl errors are irrelevant then it is not necessary to set up redirects. Mobile-first indexing has begun, though it’s not expected to affect search rankings. Google Keyword Planner has been redesigned, with some sections containing more data. Google AdWords accounts with no ad spend in the past 15 months will be deactivated. 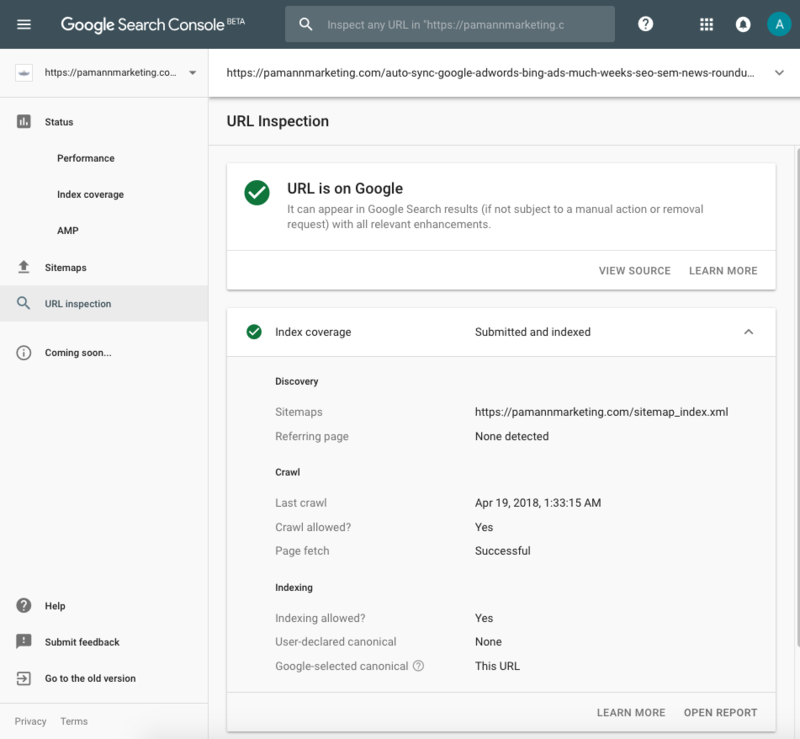 Google Search Console has been updated to provide more context to data included in reports. Google’s John Mueller says 404 errors are “fine” as long as they have no internal links or traffic. Google confirmed that an algorithm update occurred this past week. We’ll fill you in on the details and let you know what, if anything, you can do as a result. An update to Google Image Search now places even more importance on well-optimized title tags. A new Google Maps filter will help users find more accessible routes. A powerful search-by-image tool developed by Google is now available on iOS devices. In paid search news— businesses that run Google AdWords ads will be able to retarget potential customers on YouTube. Performance insights are now available for a relatively new AdWords ad unit. Lastly, Google AdWords has banned ads for a type of product that everyone seems to be investing in right now. 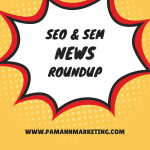 More details about all of these top stories are included in this week’s SEO & SEM news roundup. By Google’s own admission, algorithm updates occur every day. They’re rarely confirmed or acknowledged, which is what makes this one different. Google announced this update on Twitter, letting everyone know it’s a “broad core” algorithm update that occurs several times a year. What that means is this is a large scale update affecting all search results. Google did not reveal any specific details, so exact changes are still unknown. The one sure way to check if your site has been affected by this update is to monitor your traffic numbers for any significant spikes or drop-offs dating back to last week. However, Google says drops or gains in search rankings as a result of this update are “normal.” What this update is said to do is re-rank content according to how it deserved to be ranked prior to this update. In other words, if you notice a significant drop in rankings for specific pages then that could be a sign you need to improve the quality of those pages. For further guidance, you are welcome to contact us for a free SEO audit. Google image search results pages on mobile devices will now feature captions below each thumbnail. Captions will be automatically created using the title tag of the page the image is featured on. Google says this should assist searchers by adding more context to what an image is about. Of course, that all depends on the page titles. A frequent problem we run into when auditing sites is that they may either not have well thought out title tags, or they use the same generic title tag for all pages. This update to image search makes it even more important to have properly optimized title tags, especially if your site features a lot of original images. In the US this feature is currently only available in New York and Boston. It’s also available in Mexico City, Tokyo, and Sydney. Google intends to roll out this feature to more cities within the coming months. Google Lens, a powerful object recognition tool, is now available to users with iPhones and iPads. Previously, this feature was only available to users with Android devices. Lens is a feature that exists within the Google Photos app, so ensure you have the latest version before attempting to use Lens. In addition to acquiring information, Google Lens can also be used to quickly perform actions on your smartphone. For example, Lens can automatically store contact information in your phone from photos of business cards. It can also create calendar events from photos of things like flyers and billboards. Google AdWords users now have the opportunity to target the same people across Google Search and YouTube. That means when a person sees one of your ads in search results, they can continue to be shown ads from your company when they use YouTube. Google is calling this ‘custom intent audiences.’ To be eligible to display ads to custom intent audiences, all an advertiser has to do is create a keyword list for their video campaign. Cryptocurrency is a hot topic right now— you’ve likely heard about the skyrocketing value of Bitcoin in the news at one point or another. Unfortunately, the race to invest in cryptocurrency has led to people falling victim to scams. Google is doing its part to mitigate the risk of getting scammed by banning ads for anything related to cryptocurrency. This includes advertisements for purchasing cryptocurrency, as well as advertisements offering nothing more than information about cryptocurrency. Google AdWords is not the first major ad network to ban cryptocurrency-related advertising. Facebook implemented similar policies earlier this year. A broad scale Google algorithm update occurred. Now is a good time to take a close look at traffic and rankings if you haven’t lately. Google is adding captions to thumbnails in image search, so make sure your title tags are optimized. Directions in Google Maps can now be filtered by wheelchair-accessible routes in certain locations. Google Lens, and object recognition tool within the Google Photos app, is now available on iOS. Google AdWords is allowing advertisers to retarget searchers with YouTube ads. Performance insights are now available for Google AdWords click-to-message ads. Google has banned ads for anything related to cryptocurrency. The world celebrated International Womens’ Day this week, and Google marked the occasion by introducing a permanent new feature to search results. 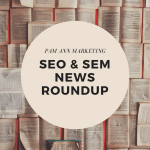 In addition– Google’s John Mueller inadvertently made several headlines with information revealed during this week’s Webmaster Central hangout, and a notable update was released for Google’s iOS app. 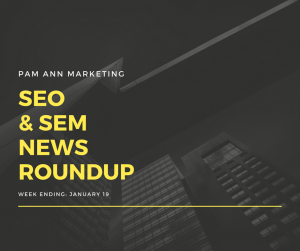 Further details about each of these top stories are covered in this week’s SEO news roundup. Businesses owned and operated by women will now have a unique identifier in Google Search and Google Maps. Within the business listing, an icon reading “women-led” will appear alongside other highlights about the business. The new “women-led” attribute can be added to a business listing through the Google My Business dashboard under the “info” section. From there, scroll down and you will find an area that will allow you to add attributes. With a simple click you can add the “women led” icon to your listing, as well as any other attributes that apply to your business. Google’s John Mueller hosts a live Google Hangout every week, where anyone is invited to attend and ask questions about SEO. Depending on the questions, these hangouts can sometimes be a good source for new information about how Google works. This week’s hangout featured some great insight from Mueller, which I’ll recap for you here. 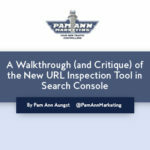 John Mueller discouraged people from using the URL Submit tool in Search Console to get new content indexed. In fact, Mueller says that there shouldn’t be any need for a “normal” webmaster to submit individual URLs for “normal” sites. Put another way— Google is perfectly capable of finding and indexing content on its own. However, if you find your content is not getting indexed as fast as you’d like, Mueller recommends linking to it from a visible location on your site as well as putting it in a sitemap file. Google’s web crawler tries to do its best to weed out duplicate content from search results. That’s because serving multiple copies of the same content would result in a poor search experience. In this week’s Google Webmaster Central hangout, John Mueller revealed there are methods in place to detect duplicate content without even crawling the page. However, this could result in unique content being dismissed as a duplicate if it’s similar in other ways to true duplicate content. When content is published to a website, sometimes parameters will be generated in the URL to denote different things like languages, categories, locations, and so on. For the record, Pam Ann Marketing discourages the use of parameters, but many websites do end up having to use them. Take a large website with many categories, for example. Parameters may be added to the URL such as “category=1,” “category=2,” “category=3,” etc. If, for some reason, categories 1 through 100 contain the exact same content, Google may begin to automatically dismiss all pages on that site with the “category” parameter. That means if category 101 happens to contain unique content it will not end up getting indexed. The best way to avoid running into such a problem is to be more vigilant with respect to duplicate content. There are ways to tell Google which content is duplicate and which is not, such as the rel=canonical tag and the URL parameter handling tool in Search Console. Use these methods (carefully) to make sure Google’s clear on which URLs contain duplicate content and which do not. I hope you’re not tired of hearing about John Mueller yet, because he was in the public eye a lot this week. In a short Q&A video published to YouTube, a site owner was concerned about page updates not being reflected in search results as fast as usual. Mueller explained that certain pages are crawled more often, so changes to the most “important” pages will be seen in search results faster than changes to less important pages. According to Mueller, a site’s most important pages are the homepage and high-level category pages. Changes to the title tag of a site’s homepage, for example, will be reflected in search faster than changes to the title of a year-old blog post. Any iPhone user with the Google app knows that it gets updated a lot. Most updates are not notable, as they’re just the typical “bug fixes and improvements,” but this week was different. With the latest iOS app update, Google is becoming more deeply integrated into other apps. A new iMessage extension will allow you to search for and share items from Google Search without having to open a new app. In addition, a new Google Search feature in Safari will allow you to search for content related to the web page you’re currently viewing. Lastly, iPad users will be happy to know the Google app now supports drag and drop. So you can easily drag content to and from the Google app while you have another app open in split-screen. Women-led businesses can now highlight that attribute in their Google My Business listing. 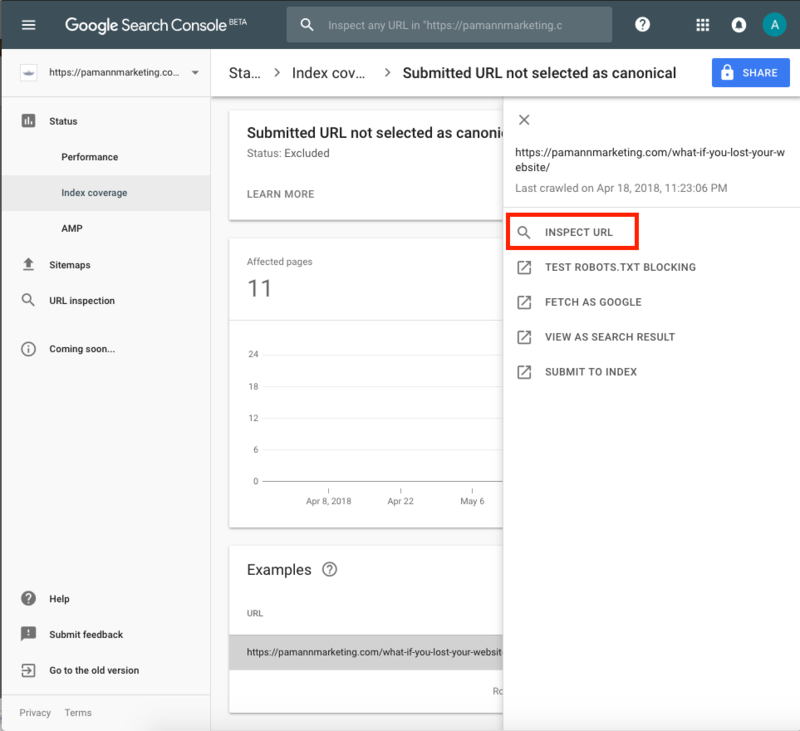 Using Google Search Console’s URL submit tool when publishing new content is not recommended. Google assures that it will find and index new content on its own. Google may determine that web pages are duplicates before crawling them if a pattern is detected in the URL parameters. Changes to a website’s homepage, and high-level category pages, will be reflected in search results faster than changes to other pages. Google’s latest iOS app update comes with an iMessage extension and a shortcut for finding related content in Safari. 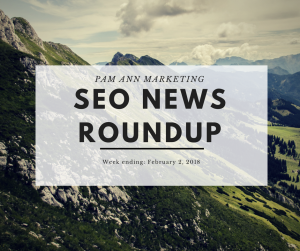 Google released updates for multiple facets of the search experience this week. Local search has been updated with a new feature for restaurants. Google Flights has been updated with cutting-edge technology that can help you avoid delays. Google Analytics has been updated with a report that captures new segments of data. In addition, Google announced a few updates that will be rolled out to featured snippets, and explained why there is data missing from the new Search Console. The company also began testing a new app which is focused on sharing hyperlocal news updates. 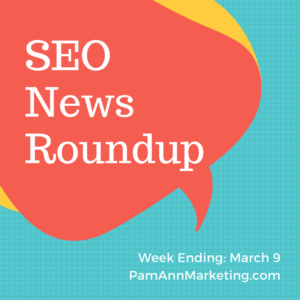 More details about each of these top stories are included in this week’s SEO news roundup. Google My Business has a new feature which lets restaurants add menus directly within their Google My Business listing. Previously, Google only let restaurants add menus through the Google My Business API or third-party menu services. Now restaurants can add menus just by logging into the Google My Business web interface. Menus can be added using the GMB Info tab. The editor will allow restaurants to add menus with multiple sections (appetizers, entrees, drinks, etc. ), which can include the title, description, and price of items. The new menu editor is available now. When menus are added to a Google My Business listing they will only be accessible by users on mobile devices. A few interesting updates have been added to Google Flights, one of which is said to predict flight delays even before the airlines do. Using a combination of historical flight data and machine learning, Google says its Flights service can predict delays with up to 80% accuracy. When a delay has been 100% confirmed, Google Flights will explain the reason behind it. Lastly, the service will now be able to return cheaper flights with the addition of Basic Economy airfares. A new report is in the process of being rolled out to Google Analytics. The report is designed around analyzing the performance of various custom audience segments. A custom audience is a group of visitors that have met a pre-defined condition. For example, audiences can be created for new visitors, returning visitors, past purchasers, users who have visited a specific section of a site, and so on. Acquisition: The volume of users an audience is sending you, and how well the audience works to generate potential new business. Behavior: How well a site engages a particular audience based on bounce rate, pages per session, and time on site. Conversions: How well an audience is performing in terms of goal completions and transactions. It appears this report is being rolled out gradually, so if you do not have access to it yet you likely will in the near future. Former SEO-journalist-turned-Googler, Danny Sullivan, published a write up last week detailing the future of featured snippets. A “snippet” is a relevant quote from a website that is usually shown beneath the title of the web page. In a featured snippet the website content is shown first, i.e. it is featured. Google chooses to display featured snippets when it determines that it will help users find what they are searching for, especially for mobile and voice searches. Going forward, Google intends to improve the featured snippet experience to make them even more useful. One of the ways featured snippets will improve is through the introduction of more than one featured snippet. Previously a search results page would feature no more than one featured snippet, if one were chosen to appear at all. Soon, multiple featured snippets may appear for certain queries. This will be rolled out in two different ways. A featured snippet may display multiple pieces of information in the same box. For example, a query like “how to set up call forwarding” may return a featured snippet with directions on how to set up call forwarding for different carriers. Alternatively, Google may display multiple traditional featured snippets for a single query. One of the downsides of this update is that multiple featured snippets will cause regular organic listings to appear even further down the first page. This is an update that is designed more for searchers than it is for publishers. 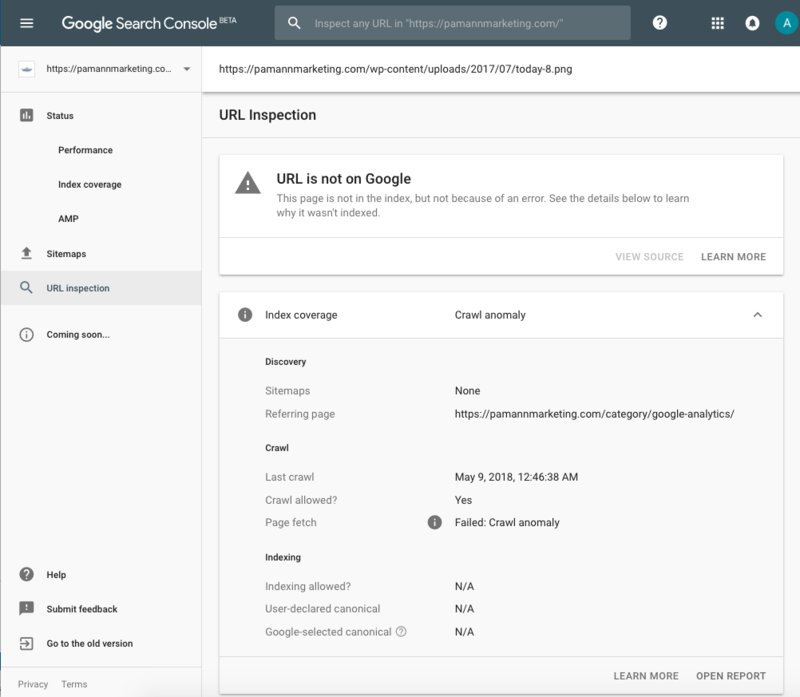 In a recent news update, we provided details about the beta launch of the new Google Search Console. Those who have been using the new search console report that they’re not seeing the same amount of data as in the traditional search console. Technically the new Search Console provides more data, 16 months instead of 3 months, but when it comes to individual data sets it’s lagging behind its predecessor. Google knows about this and says it’s because all data hasn’t migrated over yet. As a beta version, the new Search Console isn’t 100% complete. All data from the classic version will eventually exist in the new version. Another possible reason why people aren’t seeing their usual data in the new Search Console is because Google has found a different way to display it. Data sets that used to exist in their own reports may have become grouped together as part of another report. 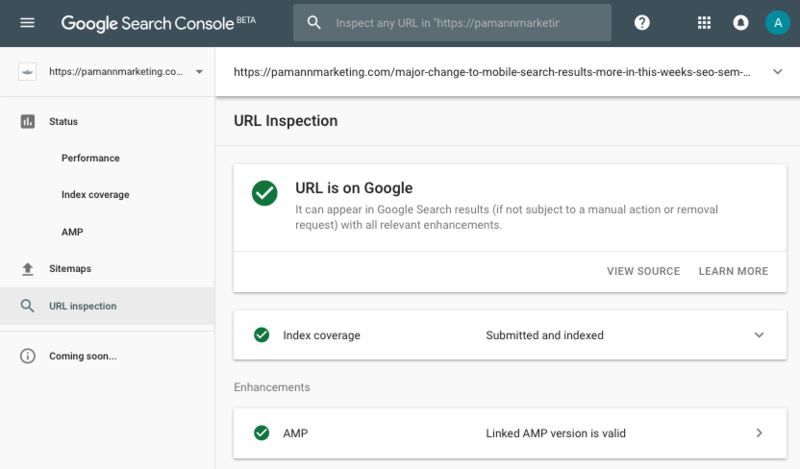 In any case— if the new Search Console doesn’t have all the data you need yet then you can still switch back to the classic version at any time. Google has launched a new app in an extremely limited test for users in Nashville and Oakland. Called ‘Bulletin,” the app is designed for users to share hyperlocal news stories to a community bulletin board which can be seen by other local users. When a story is published to Bulletin it will also be published to the web, which means it can be seen by people who may not be using the app. Still in its infancy and limited to only two cities at the moment, it remains to be seen how people will engage with Bulletin. If it ends up being successful it could be an invaluable tool for local marketers. Restaurants can easily add menus to their Google My Business listing. Google Flights will now predict delays and return super cheap airfares. Google Analytics has added a new report dedicated to custom audiences. Multiple featured snippets can now appear on one search results page. The new Google Search Console is missing some data, but it will be migrated over eventually. Google is testing out a new app for sharing hyperlocal news stories. Google gave everyone a heads up this past week that a major algorithm update is coming to mobile search later this year. We have all the information as well as answers to the most pressing questions surrounding the forthcoming update. Also this week, Google changed the rules regarding who is eligible to make money on YouTube– and many users are upset. In other advertising news, Google rolled out a useful update to its official AdWords app. Lastly, we’ll cap it off with some advice from Google’s John Mueller regarding duplicate content. 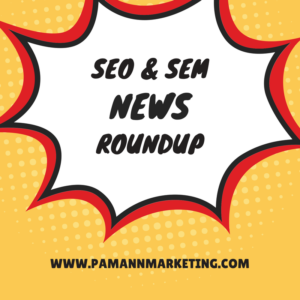 Details about all of these top stories are included in this week’s SEO and SEM news roundup. As of July 2018, page speed will become a ranking signal in Google’s mobile search results. Page speed has been a ranking factor in desktop search results since 2010, but has never been a factor in mobile search. Of course, it’s always better to serve a fast site to mobile users, but now it might make the difference between showing up on the first page or being buried in page 20. Google is calling this the “speed update” and says it will affect only the slowest loading pages. Unfortunately, it’s not possible to tell for sure which sites will be affected. While the PageSpeed Insights tool can determine if a page is fast or not, there’s no guarantee it will be considered fast enough for this algorithm update. In other words, don’t obsess too much about speed because it’s only one of the many signals used to rank search results. Google notes that user intent is still a very strong signal. So if you have a slow page that is highly relevant to a user’s query, it may still show up in search results. It’s reasonable to assume that if you’re using Google’s AMP (accelerated mobile pages) technology then you’ll be in the clear when this update rolls out. However, this new algorithm change will apply to all types of pages regardless of the technology being used. That means Google will not favor AMPs automatically. Going forward, be mindful of your page speed on mobile devices but also consider the experience you’re giving to users as a whole. Speed is just one part of the formula for keeping visitors satisfied. YouTube is not just the web’s second largest repository for finding and sharing content, it’s a place where successful video creators can earn an income. In order to make money from YouTube views users have to be enrolled in the YouTube Partner Program. This allows creators to place ads alongside their videos and earn money from ad impressions. Google has changed the guidelines for enrolment in the YouTube Partner Program, which means there is stricter criteria for users to meet before they can run ads. Previously, users had to meet a threshold of 10,000 total views before they could enter the program. Now, total views are not even considered. Users will need to generate 4,000 hours of watch time within the past 12 months to stay in the program, as well as have at least 1,000 subscribers. The new criteria will apply to both new and existing users, which is leaving a lot of content creators upset with the changes. Many YouTube channels that met the previous criteria are now being ousted from the YouTube Partner Program because they don’t meet the new criteria. It’s possible to earn a lot of views from a few popular videos but not generate many subscribers, for example. The company believes this will help prevent bad actors from trying to make money off of unfavorable content. Unfortunately, it also means some legitimate content creators will be removed from the program. Google’s AdWords mobile app has been updated with the ability to add, edit, or remove keywords from a campaign. Next time you’re on the go and have a great idea for a keyword, add it to your campaign immediately before you forget about it. Enter a word or phrase as your keyword, then choose the right keyword match type. Keyword ideas can also be explored in the “keywords” section. Instead of tapping + Add a Keyword tap Get keyword ideas. Then type in a seed word to return ideas related to that keyword. Select any keywords you want to add to your list and tap Save. If you want to perform other actions, then select a keyword that is already in your list and you’ll have the option to edit or delete it. In this past week’s Google Webmaster Hangout, John Mueller was asked about a problem that site owners frequently run into. Sites that list products and services, whether an e-commerce site or a regular site, often end up repeating snippets of text on category and product pages. So does the search giant penalize product and category pages for sharing the same content? No, Mueller says, but difficulties could arise when ranking those pages in search results. It’s “perfectly fine” to have the same text snippet on product and category pages. However, if someone is searching for a phrase which appears in a duplicate snippet, Google will try to rank just one page and not several. As a result, category pages may end up generating more traffic than the product pages. At that point, it’s a matter of weighing the pros and cons of driving traffic to category pages versus product pages. If a category page is getting significantly more traffic than your product pages, it may be worthwhile to adjust the text so your product pages show up first. For more about duplicate content, see our related FAQ article. This was the week of updates. A number of new features were added to Google’s top free SEO tools. Google released a significant update to Search Console, giving users access to a substantial amount of data. An update to Google My Business will allow business owners to showcase video in search results. Google’s PageSpeed Insights tool has been updated with more accurate data. Even Google’s AMP testing tool was updated this past week. Speaking of AMP, Google announced plans to fix the one thing that publishers complain about most. On top of all these updates, Google also gave some helpful advice related to getting indexed in image search. 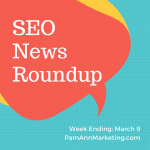 Details about all top stories are included in this week’s SEO news roundup. 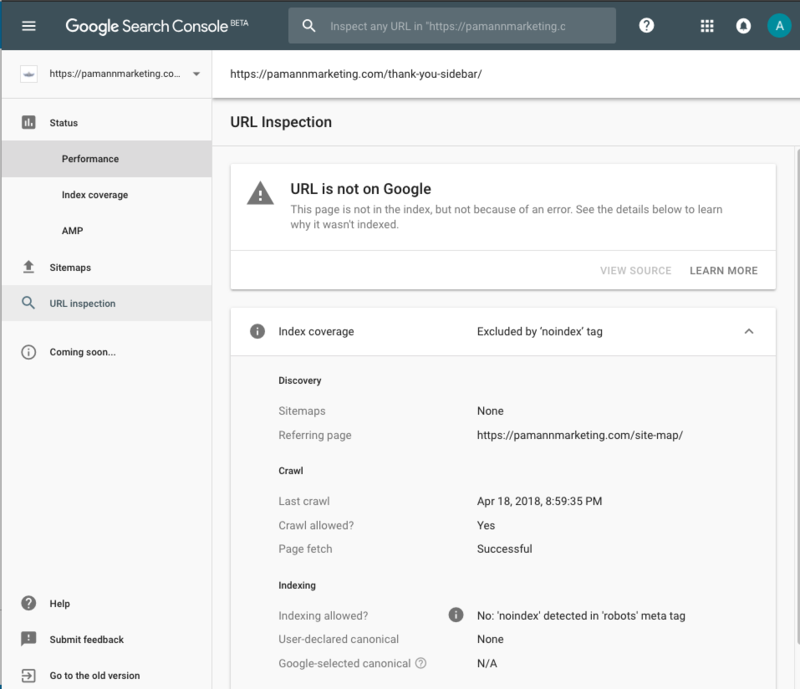 Google released a beta version of the new Search Console experience which, among other things, provides users with 16 months of data. That’s quite a step up from the 90 days of data that was available previously. Since it’s still in beta, the new Search Console will coexist with the classic version. Users can toggle between them, which is good because the new Search Console doesn’t yet have all the features of the previous version. Compare data in one custom date range against data in another custom date range. Filter and compare data by device type. Search Console’s Index Coverage report has been updated with new issues tracking functionality. This will notify site owners as soon as indexing issues are discovered. 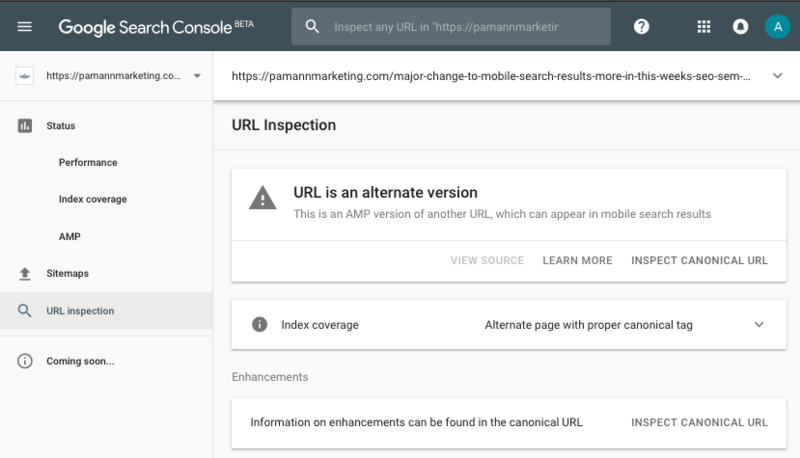 All-new reports have been added for tracking issues with Accelerated Mobile Pages (AMP) and pages with job postings markup. 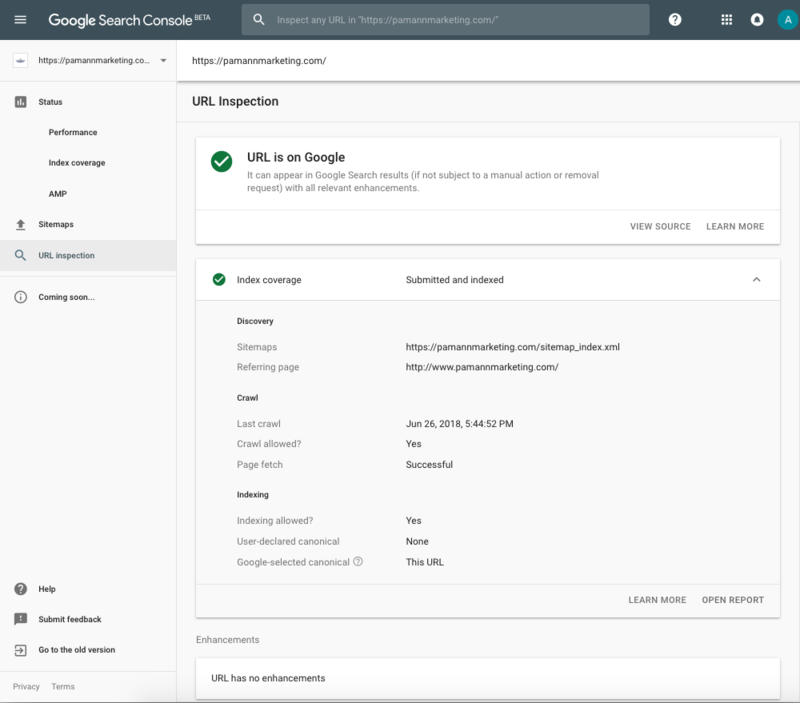 The new search console will identify issues related to these two types of search enhancements, with more to be added in the future. Google My Business (GMB) users can now upload videos to their page in much the same way as they upload photos. Like photos, videos will be displayed in Google Search and Google Maps whenever the GMB page is returned. Videos can be up to 30 seconds in length and will appear in the ‘videos’ tab along with content uploaded by customers. Several months ago, Google Local Guides were given the ability to add videos to a business’s GMB page. These videos can be reviewed in the ‘customer’ section, and any inappropriate videos can be flagged. Keep in mind that videos can take up to 24 hours to appear in the Google My Business dashboard. So if you upload a video and don’t see it right away, just give it some time. Google PageSpeed Insights is now capable of measuring real-world speeds, That’s right, up until now the tool was not measuring how fast your page actually loaded. So if you ever thought your pages were faster than what the tool was saying, you may be right. Previously, the tool was analyzing how many PageSpeed best practices a page met and how many were not. PageSpeed Insights would then assign a score based on how many best practices were applied to the page. Now it is measuring the real world speed and delivering more accurate results. I would recommend checking your site with the PageSpeed Insights tool as soon as you can to see if your score has changed as a result of this update. After running a URL through the tool, it will tell you in plain English whether the AMP code is valid or invalid. If the code is invalid the report will tell you why. If the tool detects any errors in an AMP’s source code then it will not be eligible to appear in search results, and it will be important to get all errors fixed. There are also options to submit the page to Google’s index, view how the page would appear as a search result, and view the raw source code. Any URL can be used with the AMP testing tool, not just URLs from your site. So you can test a competitor’s URLs, for example, and see how your AMPs compare to theirs. Since AMP technology was first rolled out, Google has managed to solve every significant issue except one. When you click on an AMP in Google search results, the URL you land on will invariably start with ‘google.com/amp/.’ That’s a big problem for publishers because it could lead people to believe the content was created by Google. Ideally, it’s the publisher’s address that should be shown first, not Google’s. The reason why AMPs start with ‘google.com/amp/’ is because the pages are loaded from Google’s AMP Cache. They’re not actually loaded from the publisher’s server. Google wants all AMPs hosted on the same server so it can ensure a consistently fast experience. It has been a challenge figuring out a way to display the publisher’s URL while the AMP is hosted on Google’s server. Google says it has successfully built a working prototype of the Chrome browser with a search engine that can display publisher URLs in AMPs. This is accomplished by a new web packaging standard that Google is working on getting integrated into web browsers. Google expects changes to be in place by the second half of this year. Google’s John Mueller recently explained which kinds of images are and are’t properly indexed by Google Image search. In a Google Webmaster Hangout, a site owner asked if it makes a difference whether an image is published using a regular image tag or via CSS as a background image. Mueller revealed that Google does not refer to CSS at all when indexing images. 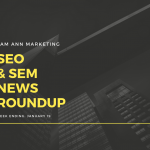 This week Google introduced several efforts to help site owners drive business with updates across organic search, paid search, and e-commerce. Every week Google employees drop pearls of wisdom, whether it be on Twitter or Google Webmaster Hangouts. We’ll recap the most important pieces of new information stated by Googlers this week. Lastly, we’ll finish off this week’s article with some Halloween and search-related fun. 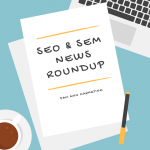 More details about each of these stories are included in this week’s SEO and SEM news roundup. Google is in the process of rolling out a feature for Google My Business pages that will allow customers to make direct bookings with the click of a button. The whole process is said to take under a minute for the customer, with a simple set-up process for the page owner. In fact, you may already have the new “Book Online” button without even realizing it. If you don’t have an account with any of the above booking providers then all you have to do is sign up, and you should see the “Book Online” button within days. Google AdWords: How Long Should it Take an Ad to Convert? Google has introduced a new data segment in AdWords called ‘days to conversion,’ which can be applied to any campaign or ad group. This new data segment estimates how many days it may take a customer to convert after clicking on an ad. ‘Days to conversion’ emphasizes the fact that just because an ad click didn’t lead to an immediate conversion, it may still lead to an eventual conversion. AdWords advertisers will now have an idea of what is a reasonable length of time to wait before seeing conversions from a specific ad or ad group. With this insight, advertisers can make more informed decisions about how to optimize their campaigns. Google AdWords has rolled out support for a new feature called parallel tracking. Don’t worry, it sounds a lot more technical than it actually is. Often, when clicking on a Google ad, it’s quite obvious you’re being redirected to a tracking URL before eventually reaching the landing page. When using parallel tracking, anyone who clicks on the ad will go directly to a landing page. The browser will send tracking information to AdWords in the background. This creates a more seamless experience for the user without sacrificing any valuable data for AdWords advertisers. Google will default to parallel tracking by early 2018, so if you’re using a third party tracker you should ensure they support it as well. Google now has an online payment solution for Android devices that is similar to Apple Pay on iPhones. Simply called Google Payment, the new service allows users to pay with any card in their Google account including credit and debit cards. Google Payment allows users to speed past checkouts by instantly providing both payment and shipping information. The service can be used when ordering items within an app or the Chrome browser. Google has plans to add more payment providers in the future. What Did Google Employees Say This Week? Important information from Google does not always come in the form of an official announcement. Often it comes from Twitter, or Google’s live Webmaster Hangouts on Google+. Here is a recap of the important bits of information stated by Google employees this week. When it comes to images, Google’s John Mueller recommends hosting them on URLs you can control. In addition, he also recommends that site owners avoid changing the URLs too often. This is because Google does not crawl images as frequently as other web content, so if you change the URL of an image it could take weeks for Google to notice. Using images with URLs you can control, as opposed to linking to images on another site, will ensure the image will never move to another URL or get deleted without your discretion. Using your own images is key to showing up in image search as well. Google Search Console is one of the best free tools Google offers, but it’s not a perfect solution for everything. For example, if you want a real-time report of links pointing to your site, you should look elsewhere. Google’s John Mueller stated on Twitter this week that the ‘Links to Your Site’ report in Google Search Console is not a real-time monitor of links. Rather, it’s meant to show a relevant sample of inbound links. SEOs who are looking for more up-to-date information regarding their inbound links would be better off looking at a paid tool like Ahrefs. High quality content is a positive ranking signal, but improving the quality of content on your site will not lead to ranking success overnight. 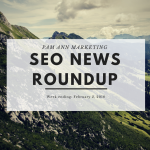 Google’s John Mueller emphasized to site owners this week that seeing ranking changes after improving content quality is a long-term process. It could take months, or even longer, for content to be re-understood by Google’s crawlers and ranked differently. So don’t get discouraged if you’ve been pouring your heart and soul into writing better content over the past couple of months. Give it more time for Google to reprocess and reassess your content. Looking for some keywords to capitalize on during the spookiest season of the year? Google has released the top 10 most searched costumes for 2017. Are you or your child dressing up as any of these this year? Film characters are said to count for a fifth of costume searches, animals account for 12%, and comic book characters account for 11%. If you’d like to dive deeper into this information, check out Google’s Frightgeist page. Here you can find out which costumes are trending, why they’re trending, and in which cities they’re most searched for.